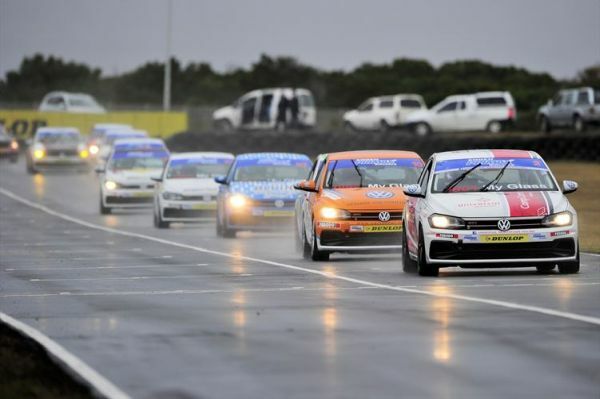 Repeated rain showers changed the complexion of the Engen Polo Cup races at the Aldo Scribante circuit near Port Elizabeth last Saturday (July 14), when the venue hosted round five of the 2018 Extreme Festival championship series. The event was the Scribante circuit's first wet race day since the venue's recent resurfacing, which made its traction extremities difficult to read. The treacherously slippery conditions did nothing to alter the Engen Polo Cup contingent's murderously competitive nature. Saturday morning's official qualifying session saw the times of the top ten competitors covered by less than a second. After the Top Six Shootout, Jeffrey Kruger (Universal Health Polo) occupied pole position, ahead of Shaun La Reservee (Alpine Motors Polo), Justin Oates (URUP Polo), Jonathan Mogotsi (VW Motorsport Polo), Tasmin Pepper (Electric Life Polo) and Delon Thompson (MF Autobody Polo). Rounding out the top ten starters were Justin Oates (URUP Polo), Clinton Bezuidenhout (Glyco Polo), Juan Gerber (Gerber Motorsport Polo) and Daniel Duminy (SMD Group Polo). Kruger showed his prowess in the wet, when he took an early lead, calmly staying in front throughout the ten-lap race. He was chased to the flag by La Reservee, Pepper, Gerber, Bezuidenhout and Mogotsi, who survived a collision and off road excursion on his way to sixth place. Rounding out the top ten were Thompson, Darren Oates (URUP Polo), Jason Campos (Campos Transport Polo) and Paulus Franken (Manitou Group Polo). The second race saw a multiple pile-up in the circuit's hairpin corner, putting out Mogotsi and dropping Pepper far down the order. The incident caused the deployment of the Safety Car, in order to remove Mogotsi's damaged and stranded vehicle from the circuit. The race eventually finished behind the official vehicle, with La Reservee leading Bezuidenhout, Jason Campos, Thompson and Keegan Campos (Campos Transport Polo). Justin Oates, Darren Oates, Gerber, Franken and Pepper filled out the final ten positions. Meanwhile Kruger was penalized for his role in the multiple crash, dropping him to eleventh place . The results left Kruger in the championship lead, with his closest adversaries Pepper and Mogotsi. 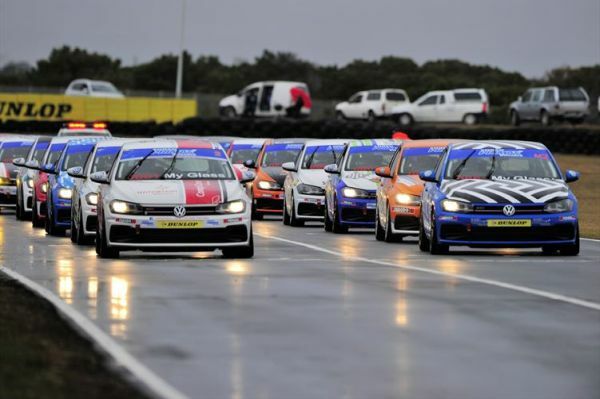 The next round of the 2018 Engen Polo Cup championship will take place at the Zwartkops Raceway near Pretoria on Saturday, August 18.